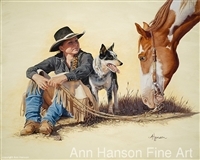 Ann Hanson was born in Bremerton, Washington and grew up in rural Wyoming. 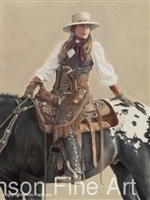 She now lives with her husband Steve near Shell, Wyoming. 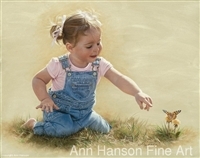 Hanson paints with oils and pastels and is noted for her very realistic and highly detailed works. 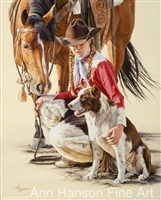 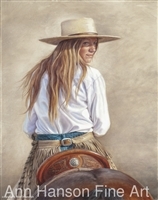 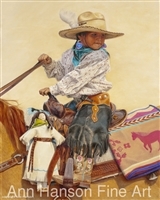 She paints a variety of subjects and her work reflects her love of the West. 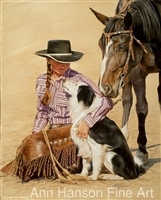 She is especially fond of painting horses. 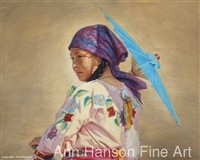 Ann started working in oils but went on to use pastels when her three children were young. 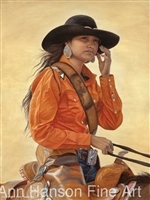 “Each medium has its strong points and it’s drawbacks. 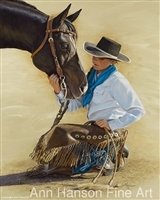 I Like a challenge and try to make myself learn something new with each painting. 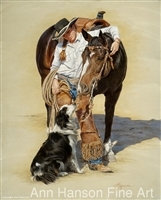 I think of myself as a naturalist. 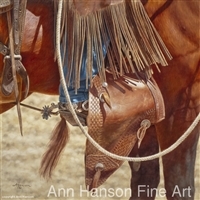 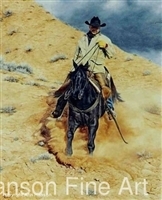 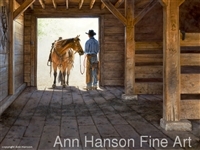 I paint what I see; I try to focus on the reality and grit of the western lifestyle.” Ann uses photography as a sketching tool for her work, but does not “copy” from photos. 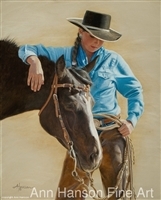 All her drawing is done free hand and she spends many hours on preliminary sketches and getting the composition just right.